I recently started blogging about bitcoin on CoinChomp. This first post is about the Chicken and the Egg Syndrome when it comes to user and venue adoption of bitcoin. Bitcoin is becoming mainstream but it’s a very slow process. While it’s been in the news enough for most people to have at least heard of the term, the majority of the population still doesn’t quite understand what it’s all about. However, instead of preaching about what Bitcoin is, I’d like to discuss how we can help make it more popular. Find Nachos you can pay for with Bitcoin! 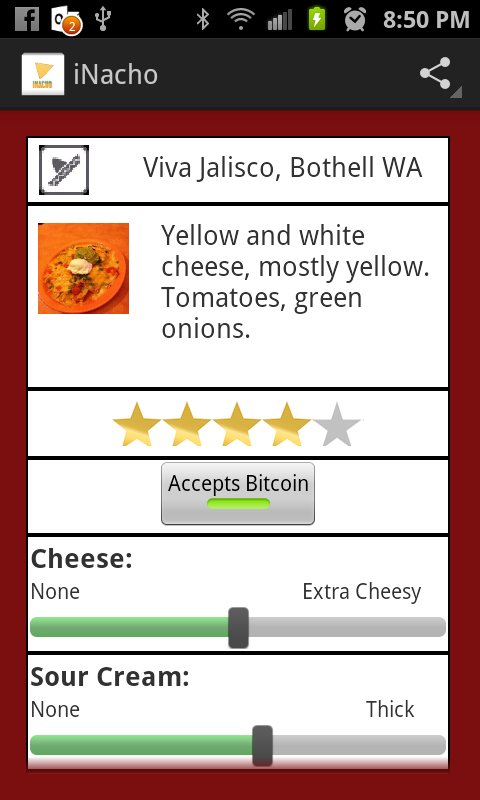 Today iNacho releases version 1.8 with a new feature: Find nacho venues that take Bitcoin as accepted currency! 1. 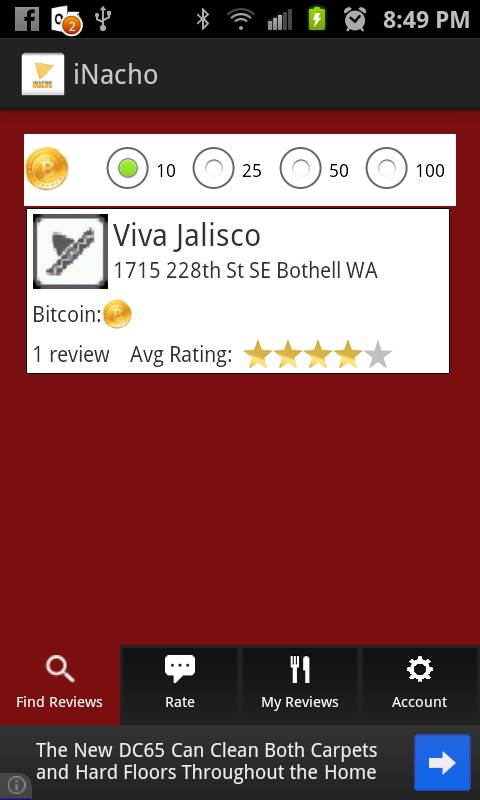 When finding nacho reviews based on your current location, you'll notice a new indicator showing whether the location takes bitcoin or not. 2. There is now a filter next to the Mile Radius toggle that allows you to toggle whether you want to only find locations that accept bitcoin or not. 3. 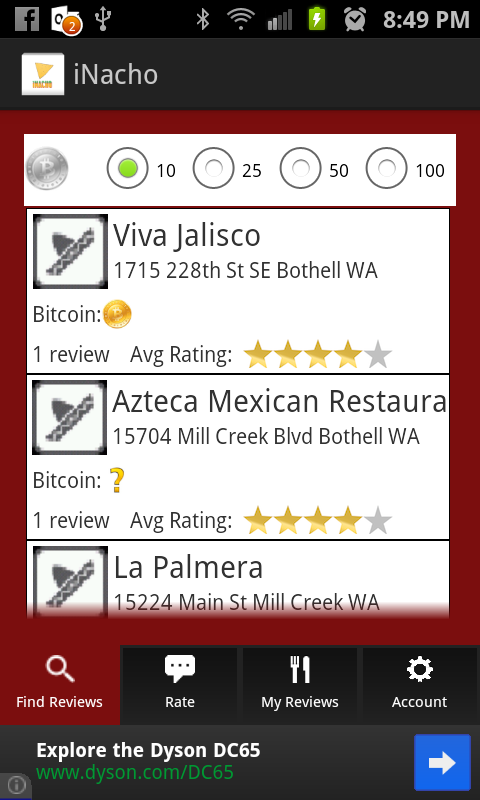 When viewing reviews, you'll see each individual review designates whether the location takes bitcoin. 4. 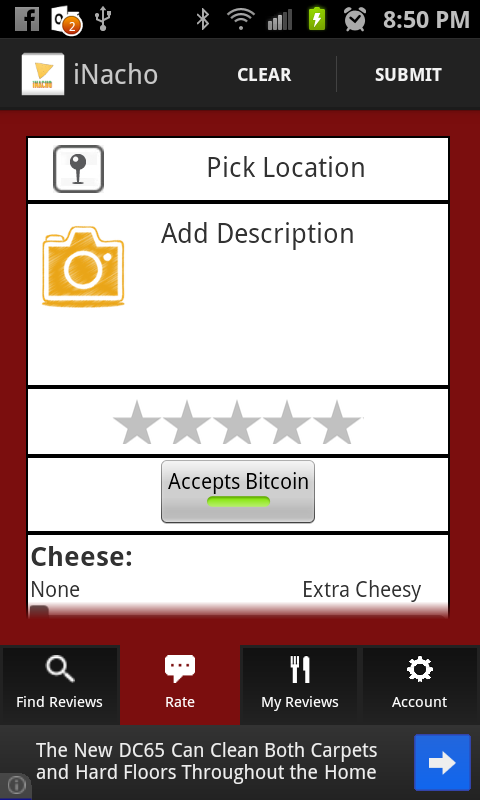 And finally, when submitting a review, you have the option of toggling whether the location takes bitcoin or not. So once again, we encourage you all to keep reviewing nachos and now with the power of finding venues that accept bitcoin so we can continue spreading the word. And remember, we're still giving away 1 free bitcoin to one lucky winner on July 1st!